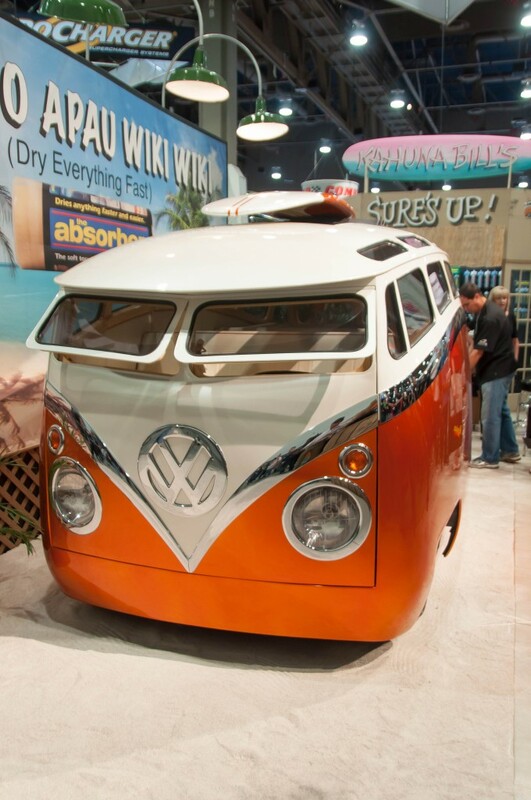 Usually a VW bus can conjure nostalgia or at least recognition but not so often: lust. Well this beauty was a knockout and it’s one of those cars that you know is one of a kind as well as a looks like jewelry. Ron Berry has been building some interesting custom rides, but this one is special. The engine, the sound, the shape, the way you get inside, all delightfully unconventional. Seeing it in person invoked the deep desire to go inside and experience what it feels like to ride inside this bus. An unexpected star of SEMA.